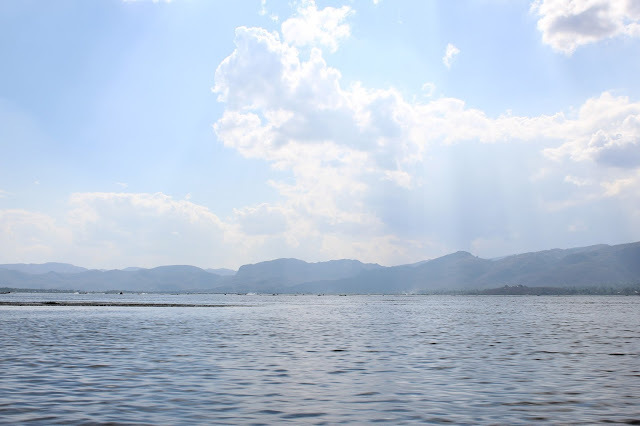 Inle Lake is one of those places that I’ll look back on as one of my favorite travel destinations. It’s beautiful. It’s unique. It is rich with local culture. It isn’t saturated with tourism (yet) so getting the real local experience is still a thing! 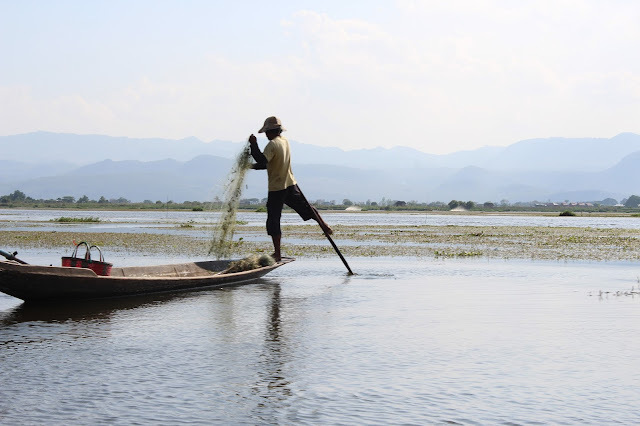 The pristine crystal like lake is famous for the Intha fisherman who balance on one leg while at the same time wrap the other leg around their paddle to row their boats through the water. 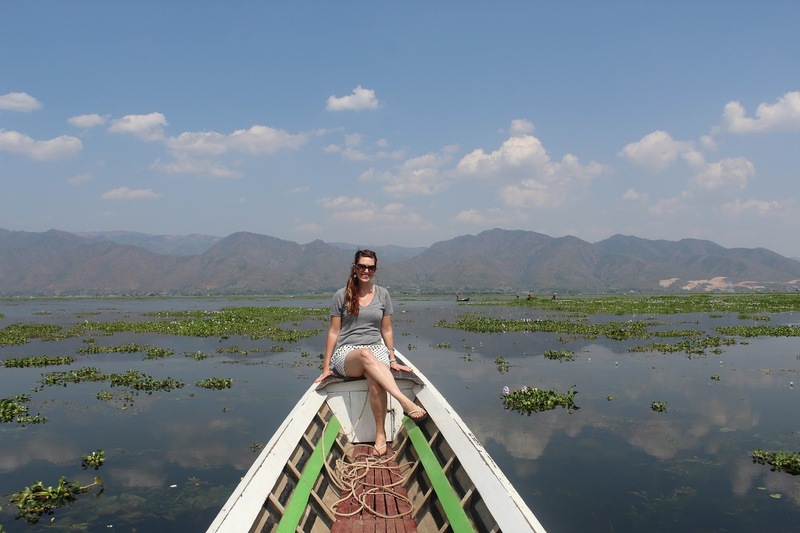 The lake also has gorgeous yet simple stilt-house villages and incredible floating gardens. Surrounded by beautiful mountains with cooler temperatures, the lake is located in Eastern Myanmar in the Shan State. It is 13.5 miles long but the marshes and floating gardens make the lake seem much bigger. You can choose to stay at a stilt-hotel that is directly on the lake or you can stay at a town nearby and boat in during the day. Once you are on the lake you rent a boat and a guide takes you to a bunch of different amazing shops where you get to see them making all kinds of things right there. We saw a lotus farm, silversmith, the long neck tribe weaving, blacksmith, cigar factory a local market and more! It was incredible you and would definitely put Pinterest to shame. These people are talented! So over the next few weeks I want to share in detail about this unique place! And by next few weeks I do mean to say 'as internet in Myanmar allows"! I hope you’ll join me and I hope I can share this rich and beautiful place with you! Have you ever heard of Inle Lake before? Where has your favorite and most memorable vacation spot been? & Why??? How pretty! I have never heard of this lake before! Learning so much through your posts so keep sharing! I agree! I wish we could go there more because it was so peaceful. I'm glad people are excited to learn more about this area. 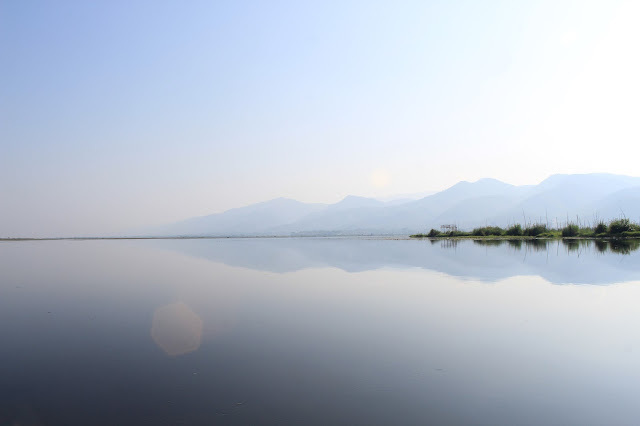 It really is a gem in Myanmar!